Regardless of whether you are in a hurry or just like to see the landscape whiz by, sitting on one of the fastest trains in the world might just be an experience you are interested in for your next holiday. Here are a few places around the world where you can experience bullet trains in all their glory. Reaching the maximum speed of 186mph, the Harmony CRH 380A is currently the 4th fastest train in the world. This vibration free transport option has a unique front shape which helps reduce aerodynamic pressure allowing it to move at a quicker pace. 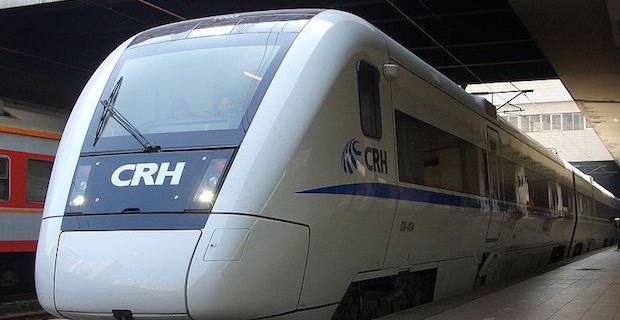 It carries 490 passengers at capacity and can complete the 819 mile journey from Beijing to Shanghai in just 4 hours and 48 minutes. The Siemens Velaro E/ AVS 103 is world's 3rd fastest train, with operational speeds reaching 217mph. During trials though it even managed to reach up to 250mph. This train can hold a maximum of 404 passengers and takes travelers along the 386 miles route from Barcelona to Madrid in 2 hours 30 minutes. A little closer to home we discover the 2nd fastest train in the world and the fastest one in all of Europe, the AGV Italo. Travelling at the maximum speed of 224mph, this modern train carries guests from Rome to Naples in just one hour. 98% of the train's parts are recyclable and guests travel in luxury with leather seats, free WiFi and live television on board. Shanghai Maglev, also known as the Transrapid, is the fastest train in the world and the only commercially operated maglev anywhere on the planet. The short 19 mile journey from Long Yang Road to Pudong International Airport takes a minute 7 minutes 20 seconds on board this speed demon. In 4 minutes it can go from 0-267mph with an average speed of 311mph.